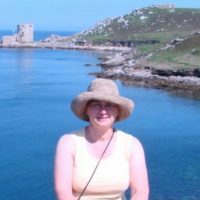 Courtney is a member of the EPICC taxonomic working group. Courtney is interested in patterns of species and community selectivity during major climatic events. Christine is a Curatorial Assistant for Geology. Her research focuses on environmental and paleoenvironmental reconstructions of marine ecosystems utilizing microfossil assemblages, and how this data can inform future predictions for these ecosystems in the face of climate change. Peter is the Curator of Geology at the California Academy of Sciences. Peter’s research focus is evolutionary ecology, with a strong emphasis on paleontology and deep time perspectives. Most of his research these days centers around global change biology, and how we can further develop our understanding of Earth's past ecosystems to better forecast our future. Allison is a member of the EPICC taxonomic working group. Her research interests include coral reef ecology, fisheries biology, and the sustainable use of natural resources. Al is a member of the EPICC taxonomic working group. Al’s research focuses on food web dynamics surrounding the Cretaceous-Paleogene Mass Extinction. 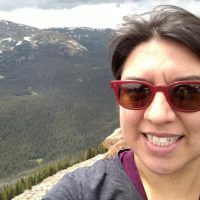 Nicole is an Associate Professor in the Department of Geological Sciences at California State University Fullerton and Research Faculty at the John D. Cooper Center. Nicole is an invertebrate paleontologist whose research focus on evolutionary paleoecology, with a strong emphasis on reef ecology. Her main responsibilities for the EPICC project is to set digitization priorities and manage students workflow. Crystal has worked on a wide range of paleontology projects, including epifanual communities from the Permian-Triassic boundary and paleoecology reconstruction from Pliocene-Pleistocene fauna in Thailand. Her primary research focus is on the Neogene shark fauna of Southern California. Crystal is also passionate about public outreach in the community and loves to educate the public about the importance of natural history preservation. As collections manager, Crystal is in charge of the the curation of invertebrates for EPICC. 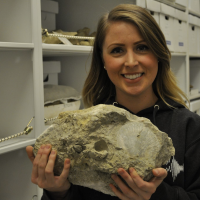 Jolene recently graduated from Cal State Fullerton where she was researching Late Pleistocene oyster beds from San Pedro. At the John D. Cooper Center she has been the primary person cataloging, photographing, and georeferencing the invertebrate collection for the EPICC Project. Jim is the Faculty Curator for Paleontology at the John D. Cooper Center and an Assistant Professor in the Department of Geological Sciences at California State University Fullerton. Jim is a vertebrate paleontologist and herpetologist whose research focus on East Pacific vertebrate faunas through time and conservation genetics of extant reptiles. As curator of the paleontology collection, he is working with Nicole to guide the curation and digitization of invertebrates for EPICC. Kathy is the Collections Manager in the Smithsonian National Museum of Natural History Museum’s Department of Paleobiology. Kathy has been at the Smithsonian since 2010 and leads a team that cares for one of the largest fossil collections in the world. 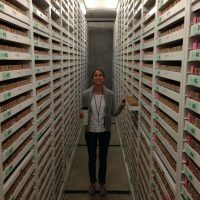 Her work involves getting the information about what organisms lived when and where out of the collection drawers and making it digitally accessible. Kathy brakes for fossil echinoderms. Holly is the Informatics Specialist for the Smithsonian National Museum of Natural History Museum’s Department of Paleobiology. A graduate of the University of Michigan School of Information, Holly works on preservation of information, digitization, bits of coding, and information access. If it’s collections and it’s digital (or wants to be digital) Holly is there. Austin is the Collections Manager of Invertebrate Paleontology, the largest collection of the Natural History Museum (NHM) of Los Angeles County. His research interest is in Cenozoic molluscan biodiversity and biogeography. 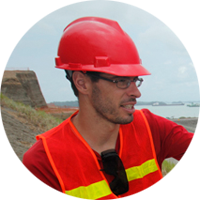 He is presently investigating the biogeography and paleoecology of fossil molluscs of the tropical Americas (Panama, Colombia, Venezuela). 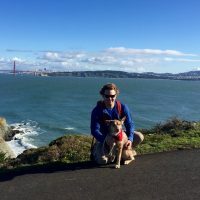 Austin is responsible for selecting the EPICC's project's digitization priorities at NHM, streamlining the workflow, and coordinating outreach activities. Jann is the Assistant Curator in Malacology and Invertebrate Paleontology. 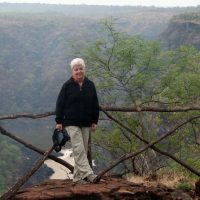 She joined the Natural History Museum (NHM) of Los Angeles County in 2014 as the Twila Bratcher Chair of Malacological Research. She studies the evolutionary biology and systematics of marine whelks in the gastropod family Buccinidae, marine sea slugs called sacoglossans, and (more recently) terrestrial gastropods of Southern California. Her paleontological interest is in East Pacific gastropods of the Eocene and Oligocene. 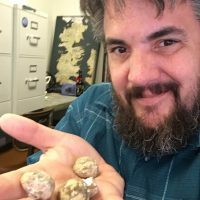 Greg is Curator of Cenozoic Invertebrates at PRI and an Atkinson Center for a Sustainable Future Faculty Fellow at Cornell University in Ithaca, New York. 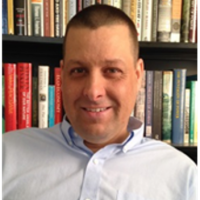 His current research emphasis centers on efforts in the emerging field of conservation paleobiology, which applies paleontological data, theories and methods to understand and solve conservation problems. Don's work and expertise focus on place-based and technology rich Earth system science education with special attention to energy use and climate change. He is involved in curriculum materials development, educator professional development, and programming and exhibitions at PRI’s Museum of the Earth and Cayuga Nature Center. 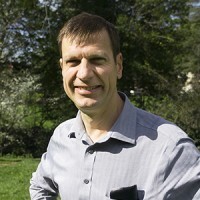 Rob's work focuses on improving public understanding of Earth system change. 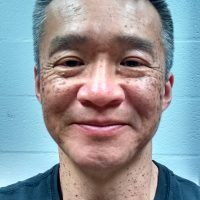 He is involved in programming and exhibitions at PRI’s Museum of the Earth and Cayuga Nature Center, K-16 educational resources, and educator professional development. 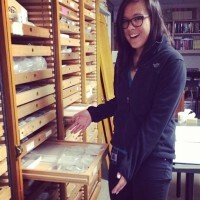 Leslie is the Collection Manager of one of the 10 largest Invertebrate Paleontology Collections in the United States. Previously she was the Collection Manager of Mollusks at the Delaware Museum of Natural History. 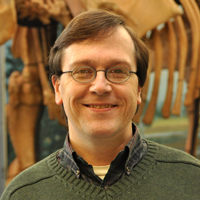 Pat is Associate Professor of Geology and Earth Sciences Curator at the University of Alaska Museum in Fairbanks, where he oversees the largest single collection of Alaskan invertebrate and vertebrate fossils. 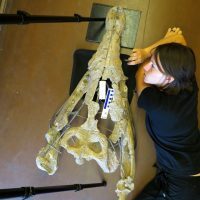 Erica manages the students and volunteers cataloging, georeferencing and photographing UCMP's EPICC specimens as well as the museum's collaborations with land managing agencies and UCMP's georeferencing workflows. 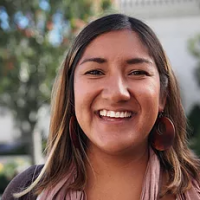 Erica enjoys connecting people with resources and sharing the stories fossils have to tell. 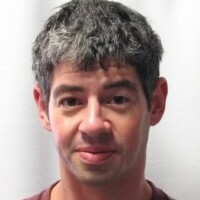 Seth is an Assistant Professor in the Department of Integrative Biology at the University of California, Berkeley. Seth is interested in patterns of extinction selectivity, especially among the marine invertebrate fauna of the Paleozoic Era. Pat manages the vertebrate collections. 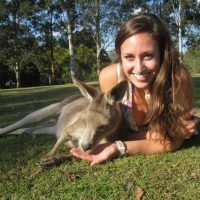 Her research focuses on understanding the pattern and process of change in the continental biota during warm intervals in the past using mammals and turtles. 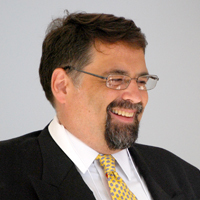 Charles is Director of the UCMP and Professor of Integrative Biology at the University of California, Berkeley. 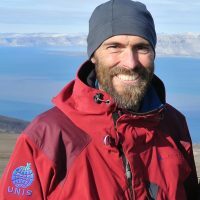 Charles has broad interest in the patterns and processes of deep time evolutionary and ecological change. 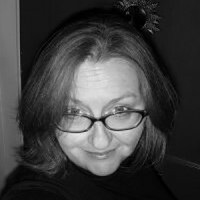 Lisa is the Assistant Director for Education and Public Programs at UCMP. 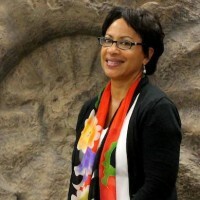 Before coming to UCMP, she spent 22 years as a professor and administrator at San Francisco State University. 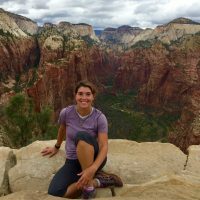 Lisa is a micropaleontologist by training, and maintains active programs to engage diverse students in geologic fieldwork. Nigel is a professor of geology at the University of California, Riverside. His work is primarily on the Cambrian and later history of the equatorial Gondwanan margin, and on aspects of lower Paleozoic paleobiology. He is co-PI on the UC Riverside EPICC PEN grant. Jess is the Principal Investigator (PI) and project coordinator for UCR’s Partner-to-Existing-Network (PEN). 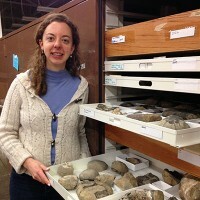 She has run the UCR Earth Science Museum for three years and will be joining Indiana University, Bloomington as their paleontology collections manager and biological collections project coordinator in November. Her research is on the interplay between evolution, ecology, and environment in alligators and dicynodonts. 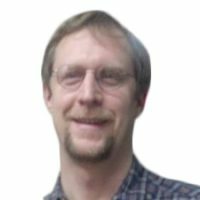 Edward is Curator of Fossils for the UO Museum of Natural and Cultural History as well as an Assistant Professor in Geological Sciences. His research focuses on changes in geographic ranges of mammal species in response to climate change, as well as the evolution of antlers, horns, and other headgear. 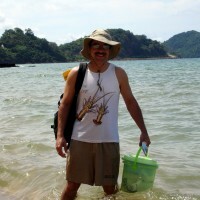 Ron Eng has been a collections manager for the Burke Museum Paleontology & Geology Division since 1991. As the collections manager, Ron ensures that the division’s specimens are preserved and accessible for scientific study, exhibition or other educational use. This includes the many tasks required to maintain intellectual control of the division’s holdings. 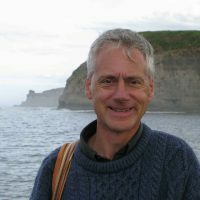 Ron's interests include evolutionary biology, evolution and ecology of marine invertebrates, marine invertebrate systematics, marine ecology, biological oceanography and technical photography. Sara is the project coordinator for the EPICC TCN at the Burke Museum. 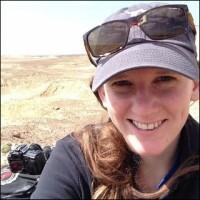 Liz is Curator of Invertebrate Paleontology and Micropaleontology at the Burke Museum and Associate Professor in Earth Sciences at the University of Washington. She is currently using benthic foraminifera to study and monitor anthropogenic pollution in Puget Sound. She also studies the molluscan faunal changes across the Eocene-Oligocene boundary along the Pacific Northwest coast.